As founder and president of Red Privet, I’m asked, “What does Red Privet do?” a lot. Red Privet does Customer Experience Design (CXD). We design experiences that our clients’ customers will find compelling, valuable and ultimately satisfying. CXD incorporates strategy to solve business problems. Often when I explain CXD to someone new, they equate Customer Experience Design to User Interface Design (UID). User Interface Design determines how the user interface of an online or mobile product works. As we see it, the two are often related, but are far from the same. UID solves tactical design problems. 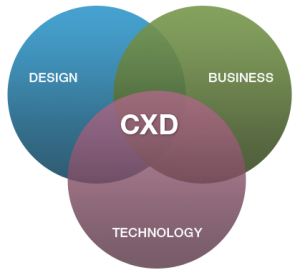 CXD incorporates all aspects of the business to inform strategic and tactical design decisions that solve real business problems. Sometimes this includes a user interface and sometimes it doesn’t. On the other hand, UID only solves tactical user interface design issues. Let’s compare CXD and UID side-by-side. CXD occurs before, during and after the SDLC while UID only happens during the SDLC. If your product strategies are only focused on UID as part of project execution, you may be missing the bigger picture. 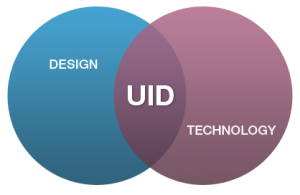 UID delivers just one tactical component – the online interface to your business. CXD delivers the experience that is your brand. CXD enables you to get to know your customers as end-users, consumers and people. Analytics and sales reports can only tell you so much. You might know that customers keep dropping out of your conversion funnel, but you can’t know why until you ask them. What’s confusing, inconvenient or hard to find? Perhaps more importantly, you can learn what your customers value ─ their goals and attitudes toward your products and what motivates them. CXD brings in your business’ perspective. Our typical CXD engagement includes stakeholder interviews of executives down to front-line staff from across the organization. This approach helps to get everyone on the same page by establishing and building alignment between customer, business, marketing and IT goals. CXD helps to identify and design better user experiences. CXD provides the understanding and perspective you need to make smarter decisions about your strategies, products and services. CXD incorporates the analysis needed to promote and protect your investments in business, technology, mobile and online products. It’s a scalable process that mitigates risk. Activities and methods can be done to different degrees of rigor depending on the project goals, scope and timeframe. Our engagements often require more time in the early phases; however, we typically see this time recouped in later phases due to mitigated risk in product design and development efforts. Finally, CXD enables you to pinpoint the opportunity intersection between your goals and your customers’. This means you’ll offer the brand experience that your customers will want to adopt, buy, share and repeat. What do you think? Do you make the same distinction between CXD and UID? Comment here or let’s talk on Twitter: @redprivet using #CXDvsUID.